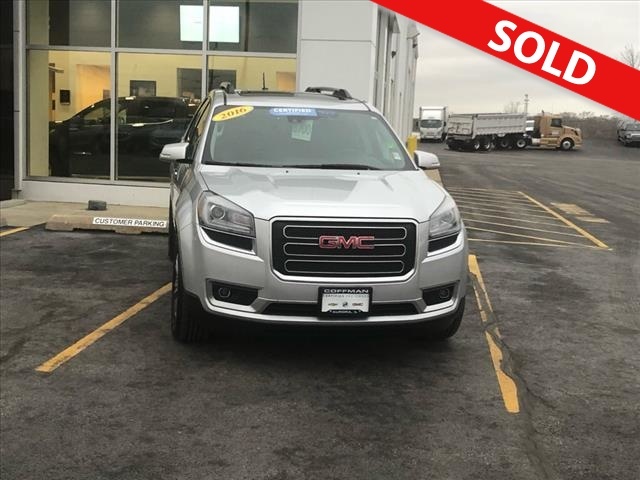 WHAT WE HAVE HERE IS A VERY NICE ACADIA SLT LOADED UP AND READY TO GO, OPEN ROAD PACKAGE WITH THE DRIVERS ALERT PACKAGE. CERTIFIED AND READY TO GO. CALL FOR MORE INFO.